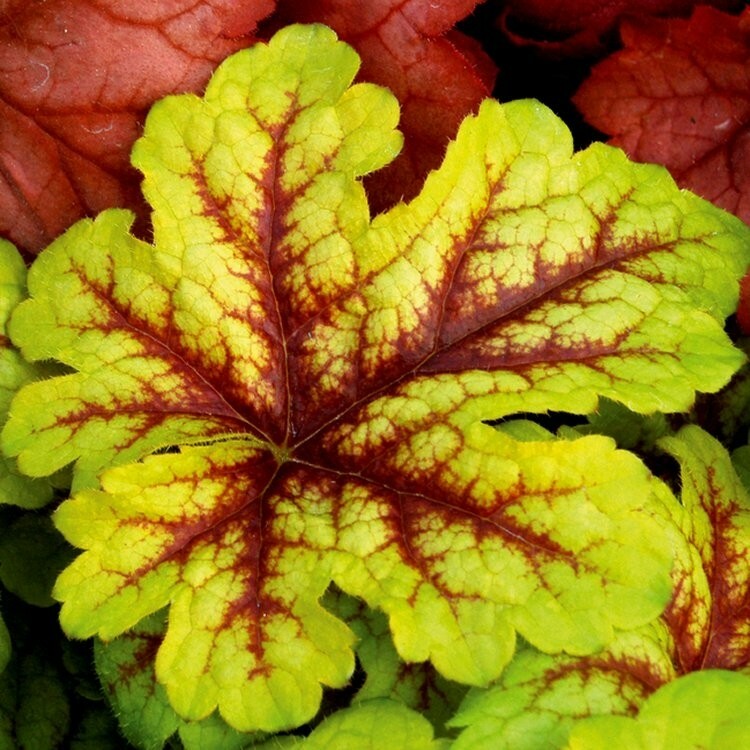 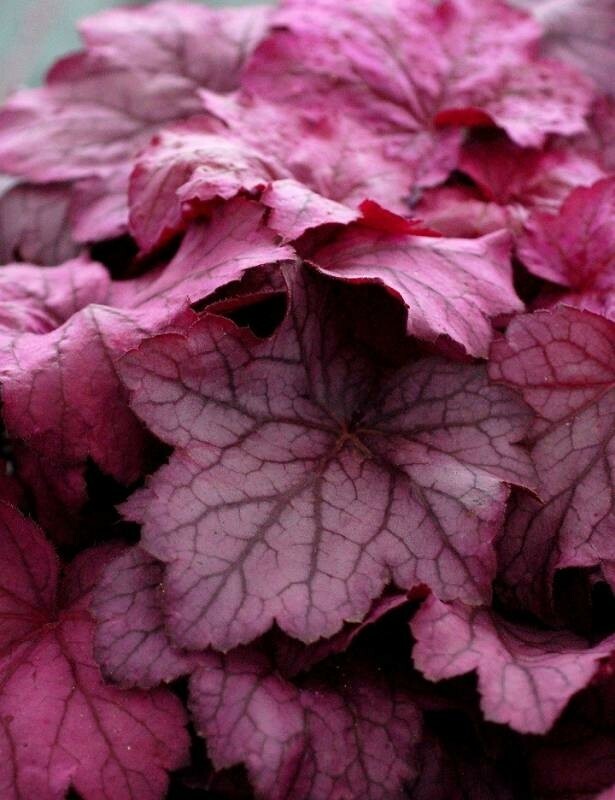 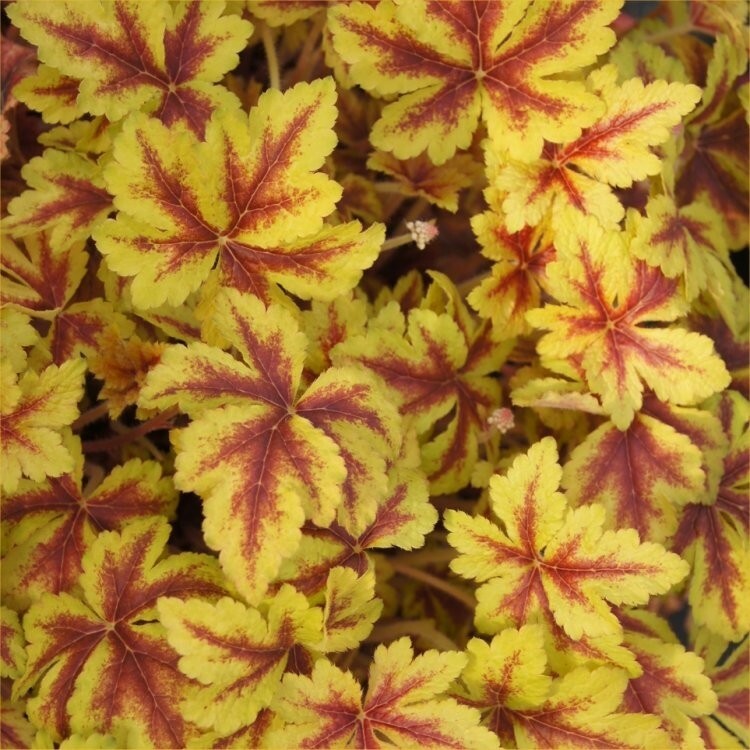 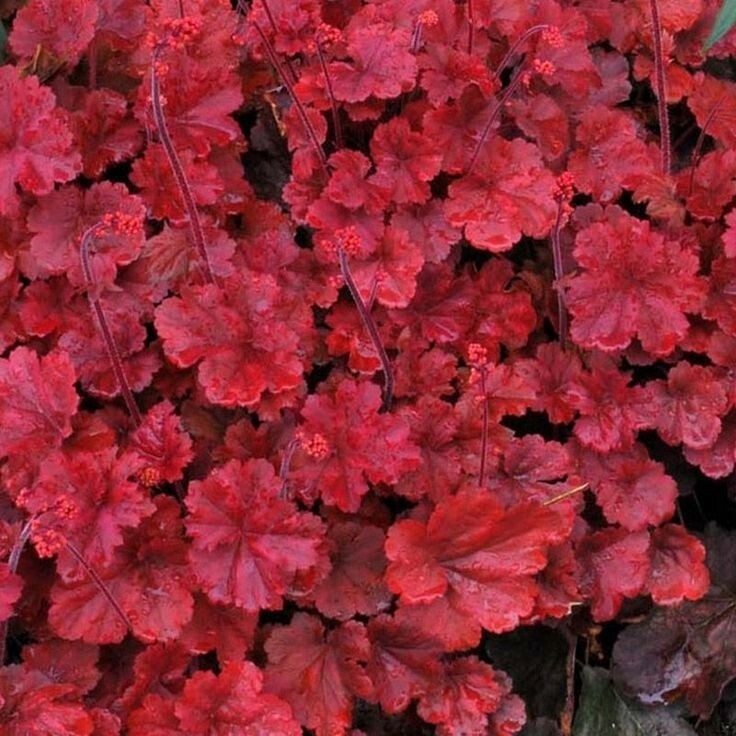 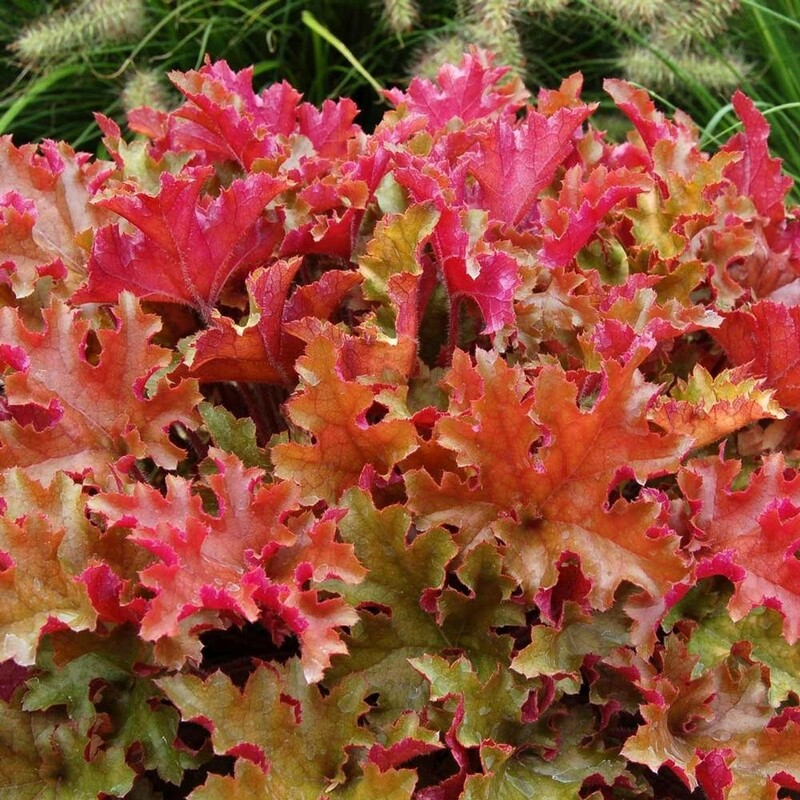 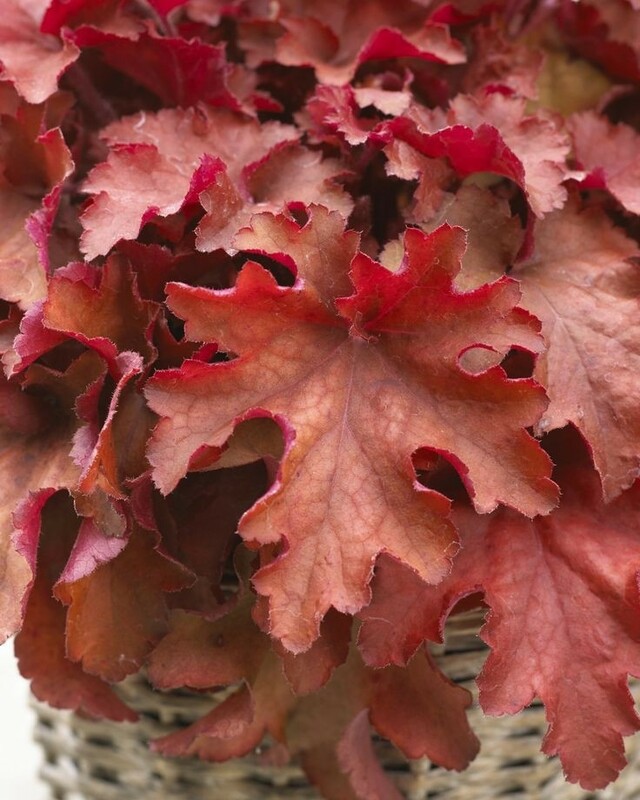 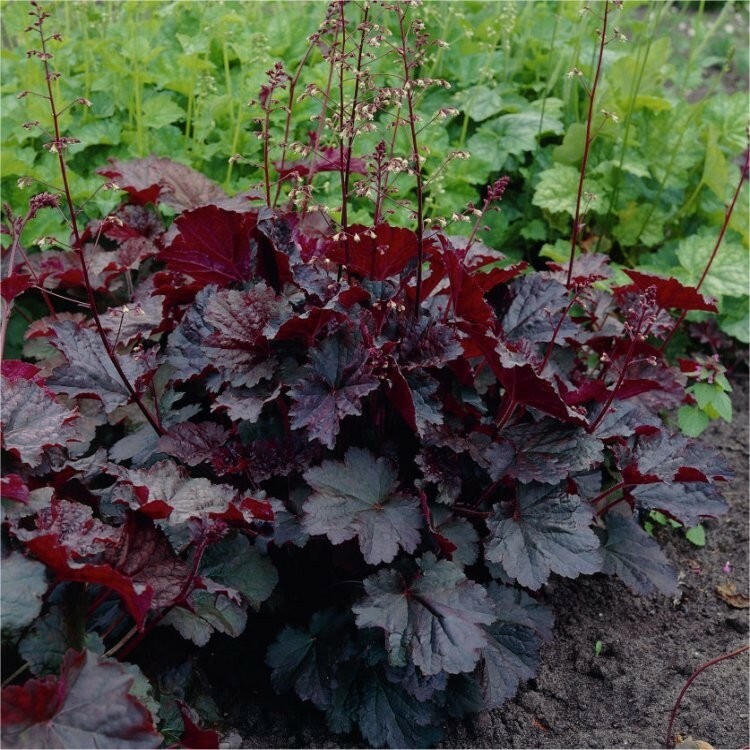 These Heuchera plants look great all year right, in Autumn, Winter, Spring and Summer. 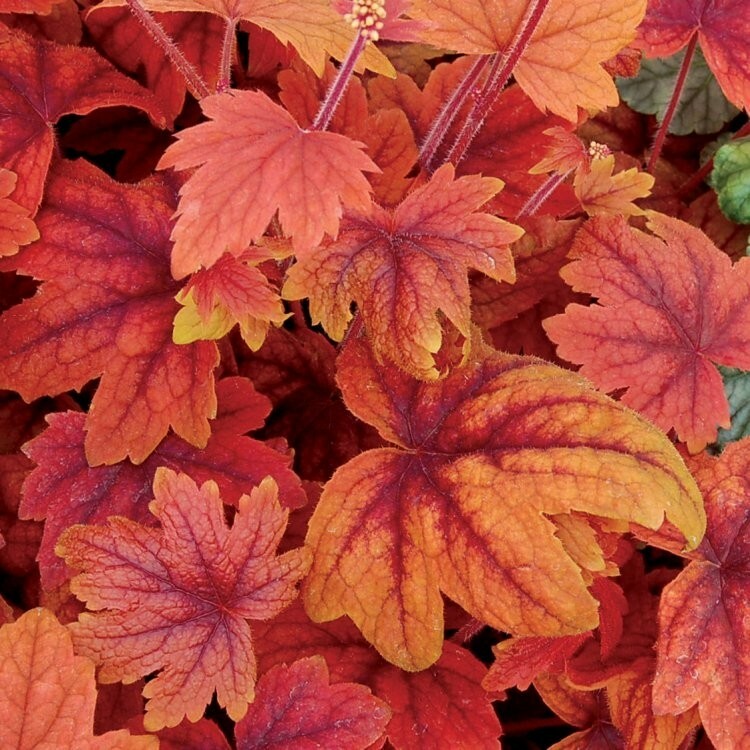 Each season adds to the depth of interest, as the foliage transitions through different colours depending on the time of the year. 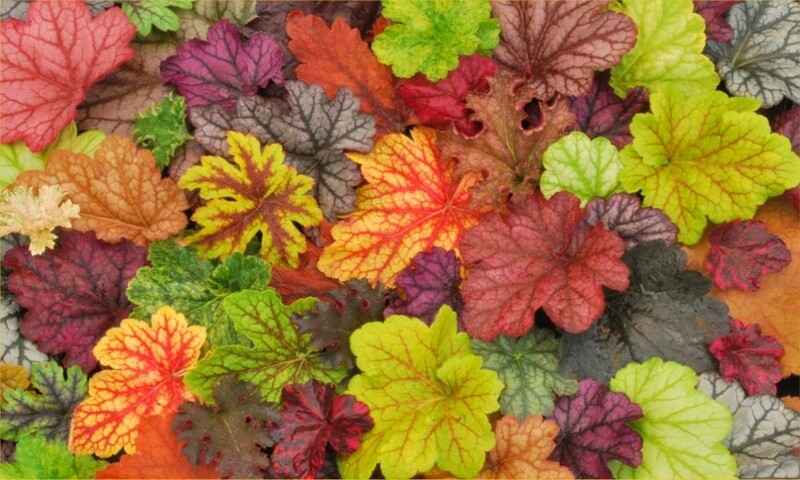 If you need ground cover, a mass of these in different varieties will give the look of Josephs coat! 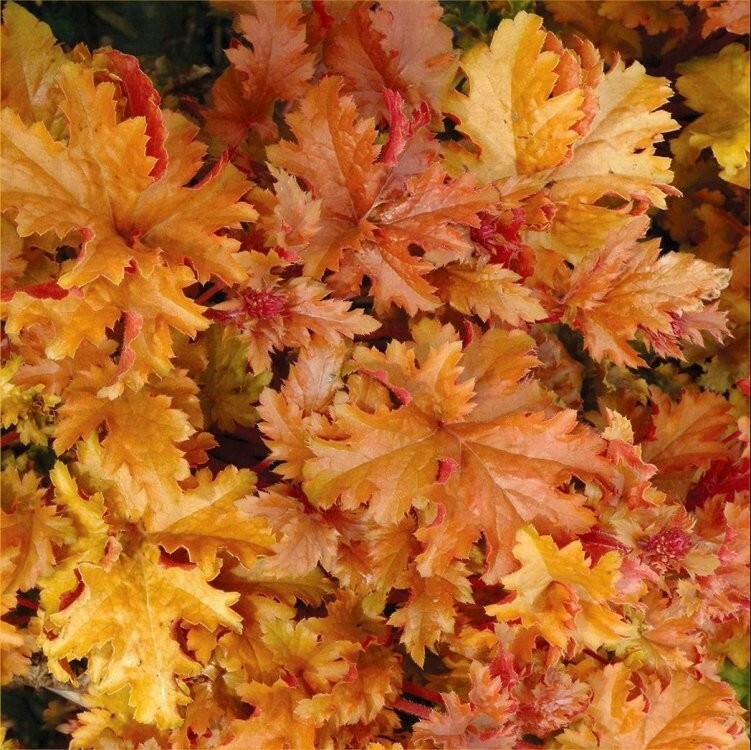 Their vibrant colours and attractive shapes really do lift the spirits in the duller months, and actually intensify the colder the weather becomes, the new leaves in Spring are also very vibrant. 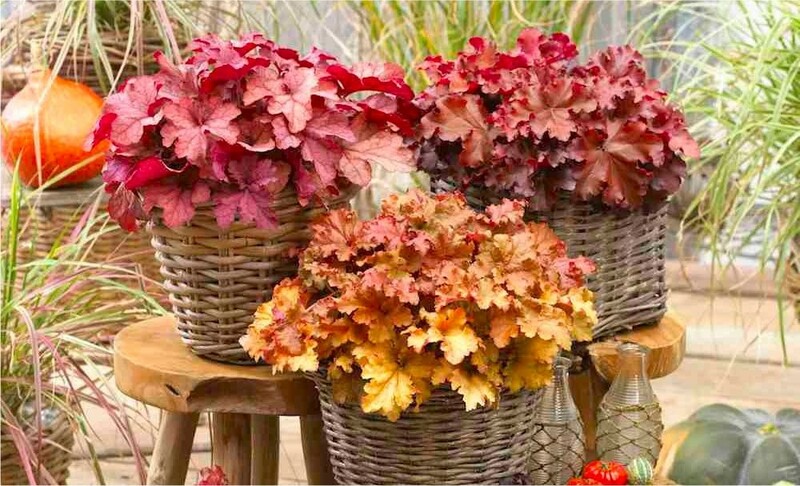 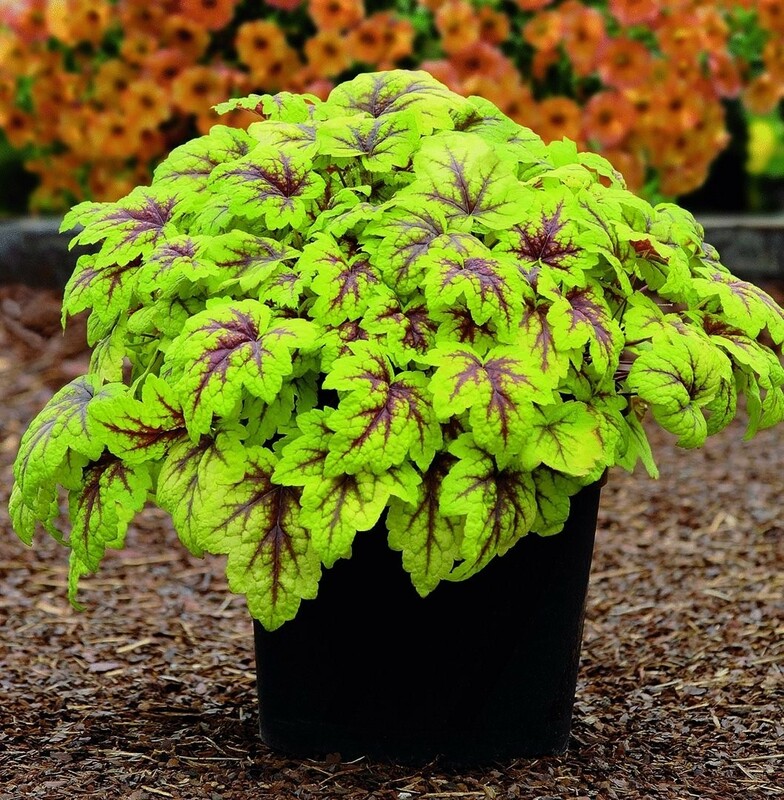 Our lovely collection of Handsome Heucheras consists of varieties for great ground cover, and foliage contrast in the garden or on the patio. 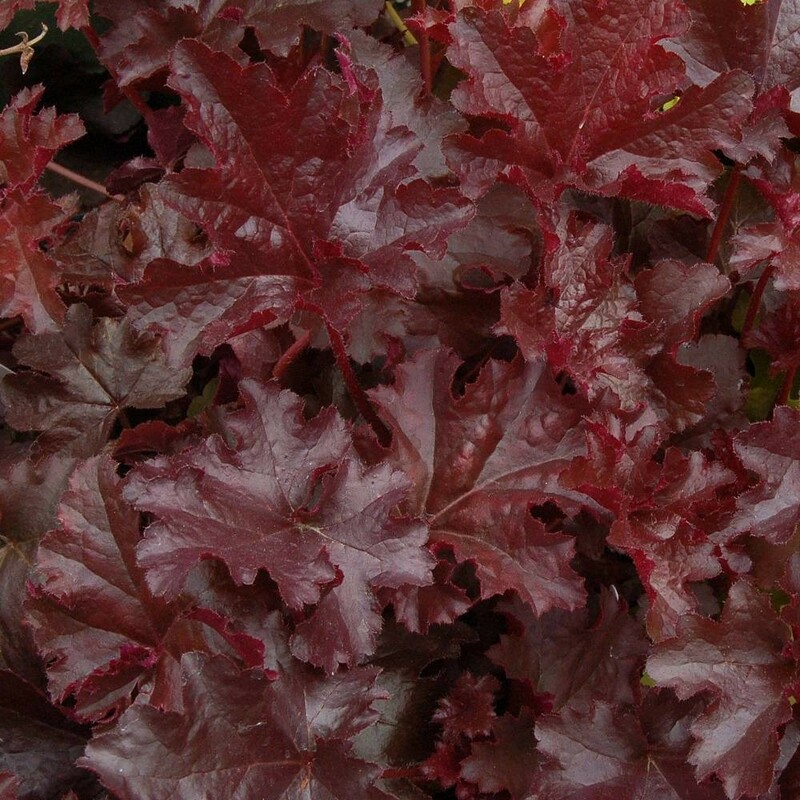 Pack of FIVE different plants, each supplied in approx 1 litre containers. 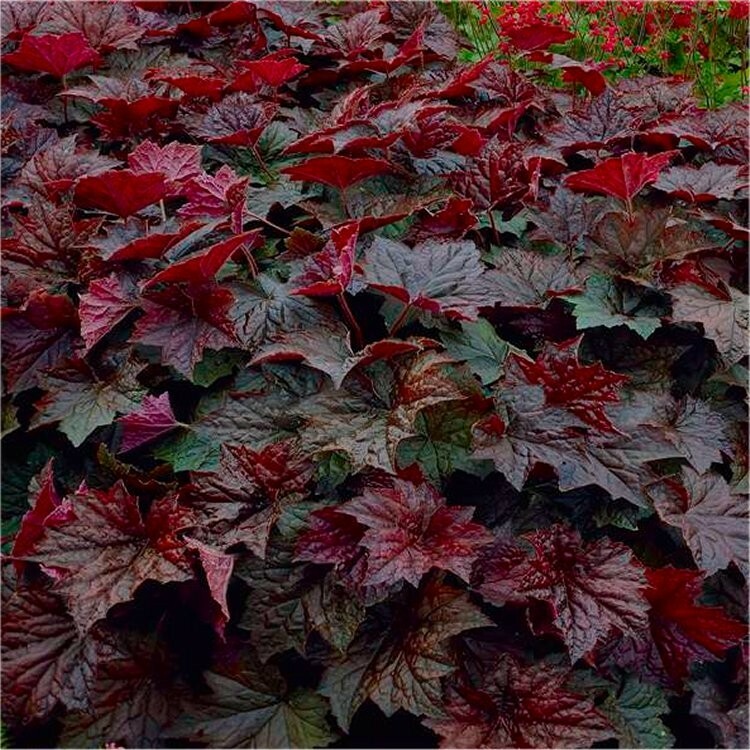 These are high quality premium plants, with the selection randomly selected from our range over over twenty fantastic varieties, to include a diverse mix of colour and form from Plum Purple, and ruffled types to Amber and Gold shades, Silvers and more. 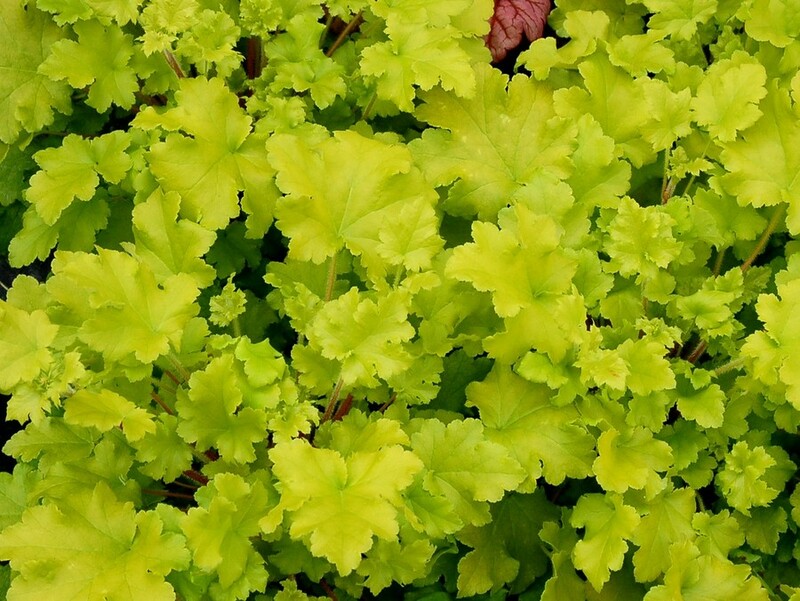 Selection pack includes five plants, each selected at packing time to provide a great mix and make a lovely show in your garden. 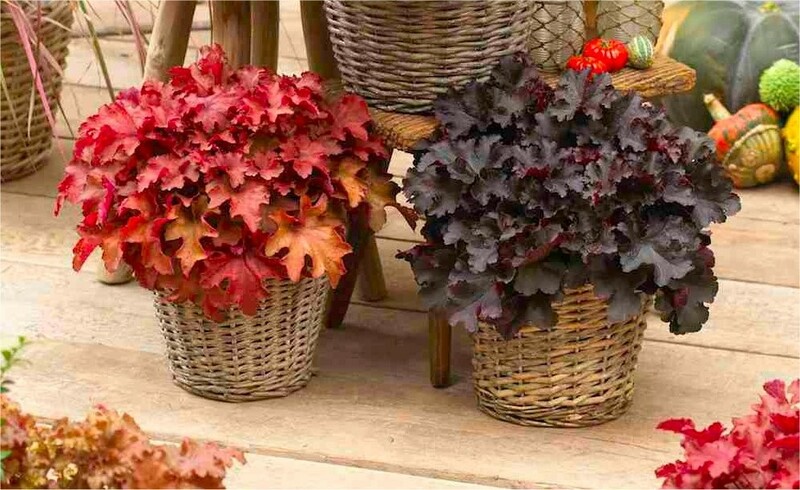 Colourful plants supplied in approx 1 litre containers.